Today, I wanted to thank you and so I picked up a brush. Thank you very much for being here with us. This may be modest, but it contains my feelings of gratitude. I hope you can accept it. Please, I look forward to seeing you after this as well. 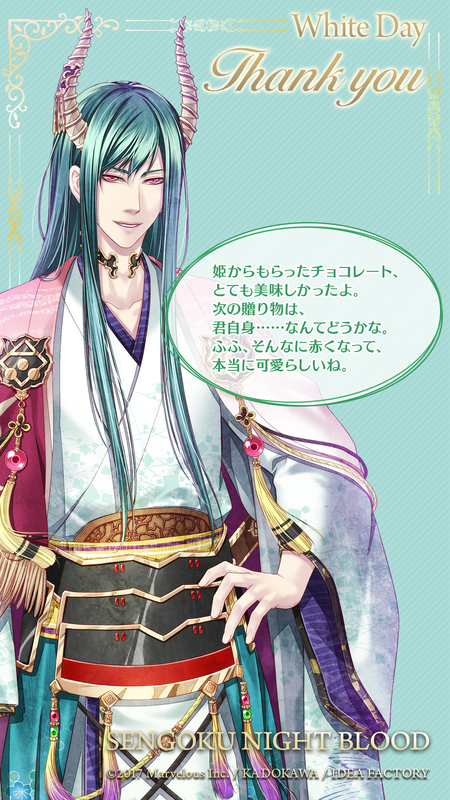 This entry was posted in Collaboration, Otome Games, Sengoku Night Blood and tagged Kadokawa, Marvelous!, Mobile, Otomate, SNB Takamoto.